A sore elbow may be the result of playing with a stiff racket. Just because your girlfriend or teammate plays with a stiff tennis racket doesn’t mean it’s the right type for you. The stiffness of the racket’s frame is one of the most important design characteristics of a racket, and although this feature can benefit some women players, it can cause problems and take its toll on others. If you’re in the market for a new racket, in addition to stiffness, consider all the other features of a racket and try out several demos. The right problem-free racket should fit your strength and skill level, as well as your playing style. The stiffness of a tennis racket’s frame is measured on a special diagnostic machine and is referred to as an RA rating. The RA rating usually ranges between 45 and 80. Women who play with a stiff racket use a racket with an RA rating of 65 or higher. Stiff racket frames have other characteristics in common -- they generate more power, have a larger sweet spot and produce more frame shock and vibration. Rackets are made with a beam or frame width between 15 and 35 millimeters -- stiff rackets usually have a beam width of 25 millimeters or greater. 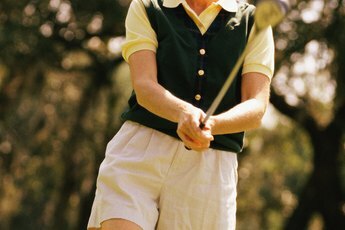 The larger sweet spot and power potential can benefit beginner or recreational women players. The sweet spot is the area on the string bed where you don't feel any shock or vibration when you hit the ball -- the shot simply feels solid. A larger sweet spot gives players a better chance of hitting a good shot even when the ball is hit slightly off center. Stiff rackets do a lot of the work for you -- you can swing slowly and still get a little "oomph" behind your shots. This is because stiff rackets bend less when you hit the ball and more power is returned to the ball. Women who are small in stature or are just learning may find this performance feature helpful. But the power of a stiff racket is harder to control. Advanced women players who already hit with power may find stiff rackets too powerful – their balls keep going long. A stiff tennis racket tends to be less comfortable than a flexible racket. Flexible rackets bend more on ball impact and absorb more of the shock and vibration. This is not the case with stiff rackets. With a stiff racket, more of the shock and vibration is transmitted to your wrist, elbow and shoulder. Recreational women players who only play once or twice a month may be able to play with a stiff racket and suffer no arm discomfort. 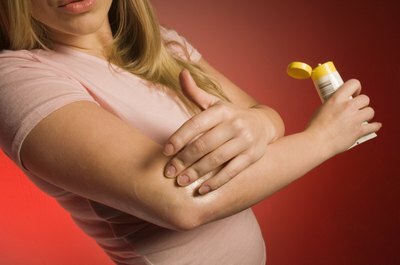 But if you play two to three times per week in addition to weekly women's league matches or tournaments, playing with a stiff racket puts you at risk for arm injuries, including tennis elbow. There are many ways to customize your racket. For example, you can change the overall weight of a racket, increase or decrease the size of the grip and change the tension of the strings. The one thing you can't change is the stiffness of the racket -- you can't make it more flexible. After several years of playing and many restring jobs, some of the bonding material within the frame can become soft and can break down, causing the racket to lose some of its stiffness. But this loss is minimal and too little to notice. If you want to change to a more flexible racket, your only option is to buy one with a low RA rating. 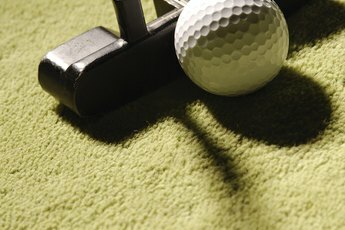 What Golf Clubs Are There for a Mid Handicap? Can You Repair a Broken Tennis Racquet?